UniRac 240" Std. Rail Pro-Pak of 8 rails only. PoleTop Mounts for Sharp 165, 175, 185-watt Modules * Ships by truck freight only, all others ship via UPS. UniRac 228" Std. Rail Pro-Pak of 8 rails only. UniRac 216" Std. Rail Pro-Pak of 8 rails only. 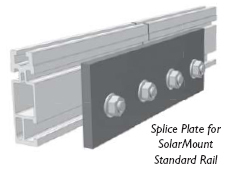 PoleTop Mounts for Uni-Solar 64-watt Modules * Ships by truck freight only, all others ship via UPS. UniRac 204" Std. Rail Pro-Pak of 8 rails only. PoleTop Mounts for Sharp 123-watt Modules * Ships by truck freight only, all others ship via UPS. UniRac 192" Std. Rail Pro-Pak of 8 rails only. UniRac 216" Light Rail Pro-Pak of 10 rails only. UniRac 180" Std. Rail Pro-Pak of 8 rails only. UniRac 204" Light Rail Pro-Pak of 10 rails only. UniRac 168" Std. Rail Pro-Pak of 8 rails only. UniRac 192" Light Rail Pro-Pak of 10 rails only. UniRac 156" Std. Rail Pro-Pak of 8 rails only. UniRac 180" Light Rail Pro-Pak of 10 rails only. UniRac 144" Std. Rail Pro-Pak of 8 rails only. UniRac 168" Light Rail Pro-Pak of 10 rails only. UniRac 156" Light Rail Pro-Pak of 10 rails only. UniRac 132" Std. Rail Pro-Pak of 8 rails only. UniRac 144" Light Rail Pro-Pak of 10 rails only. UniRac 120" Std. Rail Pro-Pak of 8 rails only.